The countdown to spring is in full swing! To help us get in the #mood and feel all the spring feels with warm(er)-weather trends, we reached out to our all-knowing Stylists to fill us in on how they’re getting prepped for the new season. 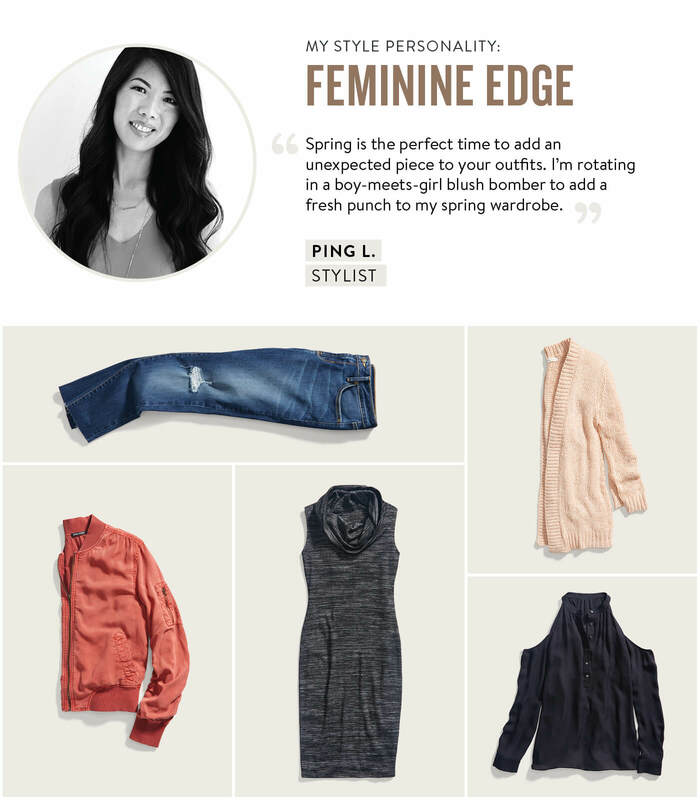 From flowy to fierce, see what our Stylists are excited about now! “This spring, I can’t wait to toss on a flirty, embroidered romper. 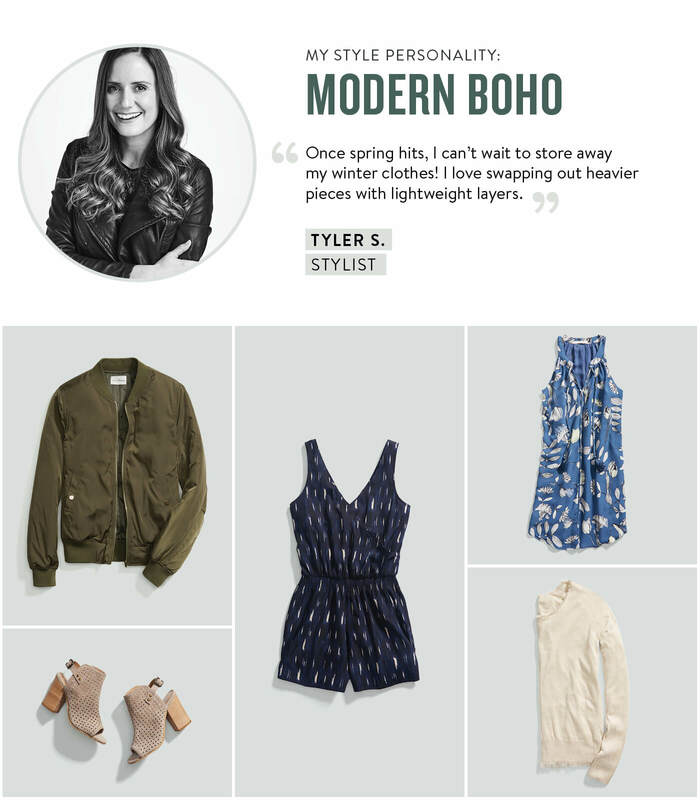 They’re the easiest way to feel put together in an instant,” says Stylist, Tyler S.
Since spring begins with a slight chill, grab a lightweight jacket. It’s one of Tyler’s must-have for spring and is perfect for layering during the transitional months. Her top picks for the season? A pair of peep-toe suede booties and a botanical print blouse that will last you all the way into summer. 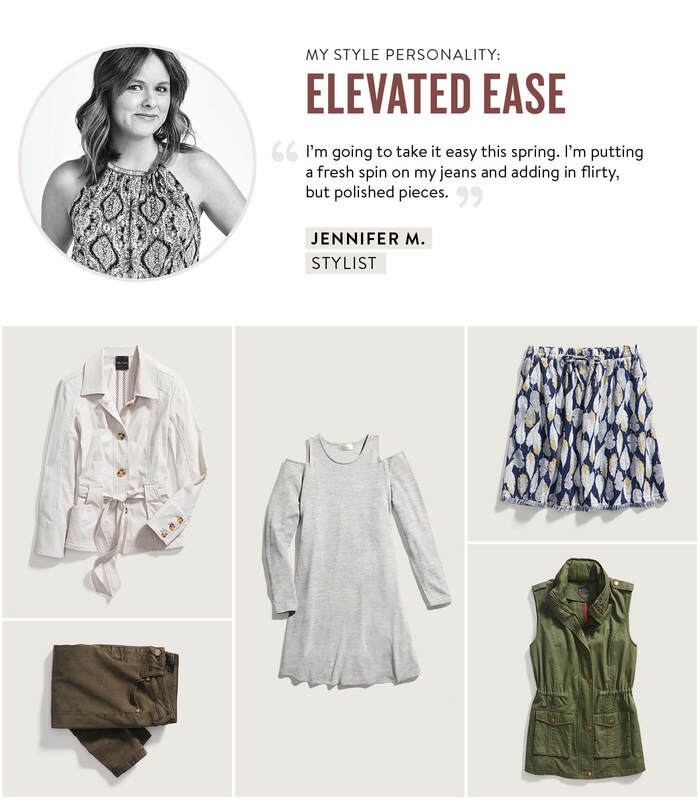 Take it easy this spring, like Stylist Jennifer M! “A timeless layer makes even leggings and a tee look polished,” says Jennifer. “Sleek staples like a shift dress and a vest make getting dressed a snap,” she adds. So, what to do? Stylist, Jennifer M. suggest reaching for a printed skirt this season and pairing it with your favorite staple knit tops and lighter layers. If you’re not ready to bare your legs, try an opaque tight with booties in a lighter grey or muted neutral. It will take you all the way into the warmer months—stylishly! This spring, take a walk on the wild side and be a woman of mixed messages. Try taking your feminine closet staples—like a flowy open cardigan—and pairing it with your more rough-around-the-edges staples. Think: distressed denim and lace-up ankle boots. If boots aren’t your style of shoe, try a lace-up flat to add something new. 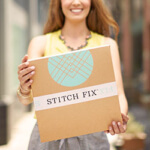 Be sure to update your Style Profile and tell your Stylist what spring trends you want to see in your next Fix!